Step 1 Heat the oven to 350 degrees and bring a large pot of salted water to boil over high heat. Step 2 Meanwhile, in a saute pan over medium heat, toast the walnuts until fragrant and slightly darkened, stirring frequently, 5 to 7 minutes. Set aside. In Recipes-list.com we have selected the most viewed recipes from category - Breakfasts Desserts . Enjoy the best recipes specially selected for you! 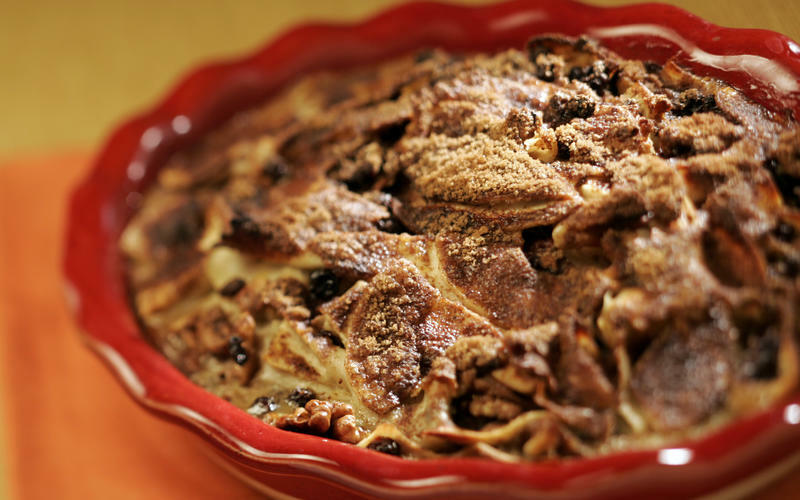 Apple walnut kugel is the right choice that will satisfy all your claims.